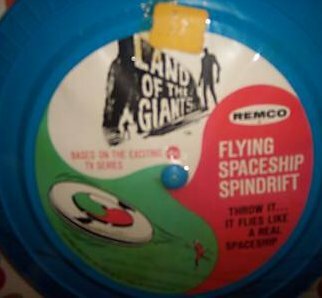 Issued by Remco in 1968. 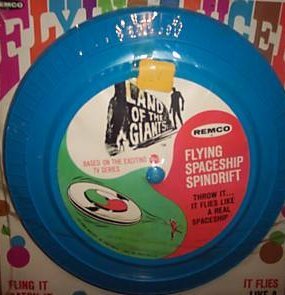 A frisbee with a decal of the "Land of the Giants" logo. "Believe it or not, this item resently sold on eBay for $511.00!" On 4/30/03 eBay again had this vintage item up for sale. After the auction ended, with 19 bids, it finally sold for $510. 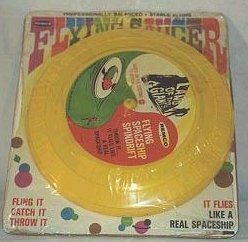 This frisbee was promoted as a flying saucer, which had nothing to do with the original show. 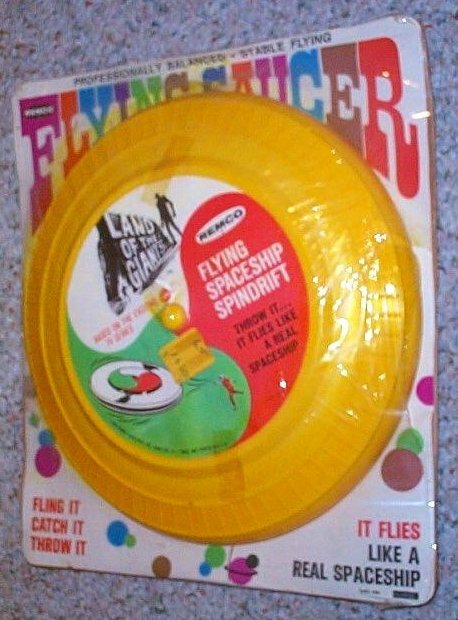 This is one frisbee you don't want to take to the park and play with!